With Power Rangers Super Ninja Steel around, it means we have one more year left with the ninja and metal themed team, which means we are a year away from a brand new team of Power Ranger in who-knows-which universe. Information about the 2019 season has already been posted, though it's not much (https://www.powerrangersnow.com/power-rangers-2019-casting-begin-mid-march/). One thing we do know is that there is now a debate over which Super Sentai team will be Rangerized this time? We've got two potential Super Sentai teams to use, but which one should be used? Yamato Kazakiri, a novice zoologist, winds up lost on “Zyuland”; another world located on Earth! There, he meets four “Zyuman" - anthropomorphic, sapient animals. ​ Meanwhile, the human world is attacked by the space outlaw group “Deathgalien” led by Ginis, the creator of a vicious Blood Game. From their ship, the Sagittari Ark, the Deathgaliens send monsters to attack Earth. Yamato and the Zyumans cannot forgive the Deathgaliens for attacking. As proud beings living on the Earth, these five people awaken their instincts and become Zyuohger! With their “King’s Credentials” in hand, the human and Zyumans join together to fight for their home. Sky, land, and sea! The dream team of animal kings; the strongest animal heroes in Super Sentai history are born! Don’t underestimate this planet!! In the year 20XX, the Jark Matter organization have conquered space, invading incountable planets across the cosmos, including Earth. 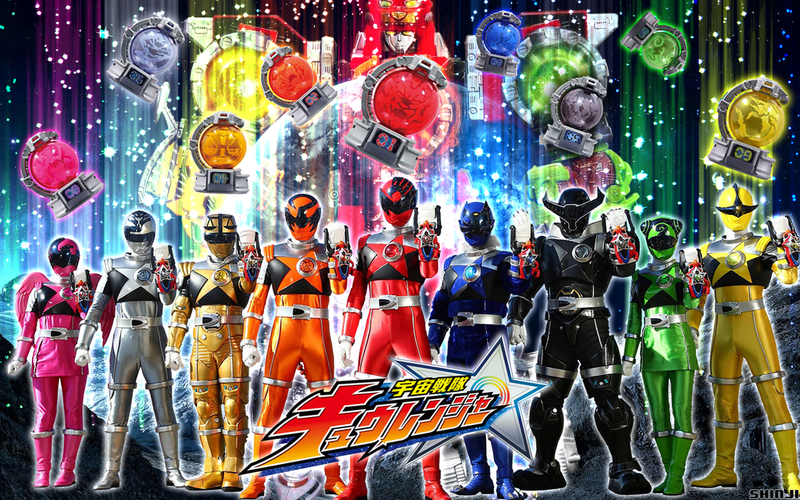 In response, an insurgent force called "Rebellion" is established and gathers nine alien warriors from across the galaxy who are chosen by the Kyutama, magical stones with the power of the constellations, to become the Kyurangers; The humanoids Lucky, Stinger, Naga Ray, Hammie, and Spada, the wolf-man Garu, the mechanical lifeform Balance, and the androids Champ and Raptor 283. Once assembled, the Kyurangers decide to start their campaign against Jark Matter by liberating Earth, as they are suspicious of why the planet is so heavily guarded by their forces. Which one appeals to you? Which would you like to see become Power Rangers? Personally, I'd like to see both Sentai teams become Power Rangers. They both look awesome. I think they both could do well as Power Rangers. I wouldn't mind Zyouhger first, then Kyuranger second. This would give us 4 years of cool-looking Rangers (as long as Saban can do them justice). The years would give Saban plenty of time for other Sentai ideas (especially ones that may not fit with Power Rangers) to come and go, allowing more options for Power Rangers in 2023. To be honest, I'm also not quite ready for a 9-team Ranger from the start to happen yet. If I had to choose one, I'd probably go with Zyouhger, with hopes that perhaps Kyuranger can follow. Ok. So they didn't get picked for being the Rangers of 2019 and 2020, but I think it'd be a shame if we didn't use them at all. Anyone here think they can still be used someday?